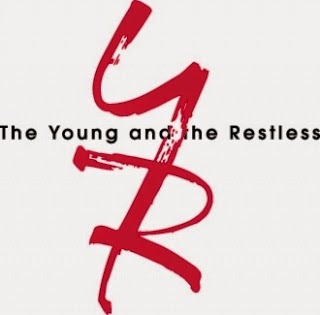 Y&R fans were the recipients of some sad news to start 2015. 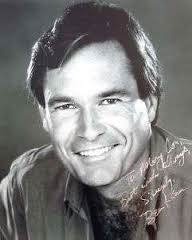 Beau Kazer, who portrayed Brock Reynolds on a recurring basis for about 30 years, passed away in Thousand Oaks, California on December 30, 2014. He was 63 years old. His wife, photographer Sharon Alkus, said the actor died in his sleep "after two years of health issues." As of this writing, no details have been provided regarding the nature of those issues. Beau was a Canadian, born in Toronto, Ontario on May 22, 1951, and he studied acting at the Stella Adler School. In 1974, he joined the cast of The Young and the Restless as Katherine Chancellor's son, Brock, Brock would always refer to his mother as "the Duchess." Since Beau was a good singer his Y&R character would often play the guitar during his earlier years on the show. Longtime viewers will recall a song Brock wrote about Jill. Beau was very tall and he had quite a distinctive voice. It was deep and booming. He appeared in the first scene of the first episode of Y&R that I ever viewed.. I heard that baritone voice and I just had to look at the television screen. I saw Brock arguing with his mother, Mrs. Chancellor, about her drinking. That's when I first began to watch the show; so it's fair to say that Beau Kazer's voice attracted me to The Young and the Restless. At the time of his death, Beau had been working on a book, Adventures in Honkersville. His wife, Sharon, has promised to type up the remaining chapters and she wants fans to know what an important part Y&R played in his life. His final appearance on the show was in 2013 for Katherine's funeral. Watch out Supergirl Summer. Mariah planted a kiss on your hubby Austin's lips and I'm sure that's not the end of it. Although Kevin seems to be falling for the volatile Mariah, I don't think that will prevent her from pursuing Austin. When Kyle returns to Genoa City, as expected. Austin will not be a happy camper. He will be jealous and resentful of Kyle's relationship with Supergirl and vulnerable to Mariah's advances. Well, well, well! Spoiled heiress Abby Newman plans to have lots of fun with her mother Ashley's love potion perfume. As I mentioned in the last edition of Y&R Report, I think Abby will go after Dr. Stitch. Regular reader, Fifi from Collingwood, Ontario, pointed out to me that Abby kissed Detective Mark Harding at midnight on New Year's Eve and walked away. That's very true, but I think that the outspoken Ms. Newman will test the love motion on more than one man. The former Naked Heiress is on the loose and she is bound to stir things up. As for Detective Harding, he's not my cup of tea. I just can't warm up to his character. At least he's single, though. Could this be the end of the long-time romance between Victor and Nikk? Now that Nikki is aware of Victor's nefarious deeds, will she ever forgive him again? We shall see. At the moment she is alienated from him and disgusted with his behaviour. Although she has tried hard to resist, Victor has driven her to drink again. Nikki can't help but be tempted when bottles of liquor and glasses are readily available right in front of her eyes at the Newman ranch. Only on a soap would an alcoholic have liquor in prominent display at home. Nikki will become increasingly dependent on Clueless Paul Williams who is always prepared to go to the ends of the earth to help her. This will not sit well, of course, with their respective spouses. Victor will be angry that Nikki has confided in the feckless police chief about her drinking, rather than her own husband. Paul's pregnant wife, the lovely Cricketmeister, will not be too pleased either. Princess Victoria Newman is with Dr. Stitch now, but she still hasn't gotten over Billy Boy Abbott. Although she tried to cover up her feelings, she was very sad and wistful when she learned that Billy had removed his wedding ring tattoo. I think the two will eventually reconnect, much to the dismay of Daddy Victor. Billy is becoming increasingly irritated with Chelsea;s closeness to Gabriel/Adam and Victoria is not going to be pleased when she finds out about Stitch'em up and Ashley Abbott. By the way,what an acting performance by little Connor when he called Gabriel/Adam his daddy! That kid has talent, doesn't he? 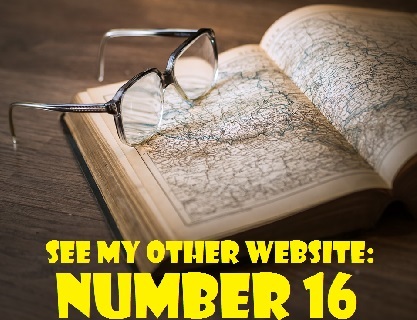 Regular contributor, CC from Etobicoke, Ontario, has some comments. Melody Thomas Scott is looking better since her recent illness. Things seem to be in a lull at the moment but we can feel the explosion coming. It is beyond me how Victor rationalizes his good in doing all the evil things he does. How he and Nikki can even dream that their marriage and relationship is a good one is beyond me. Do you think Dylan and Avery will make it to the altar? Hilary is on the edge as Devon's game heats up. Neil is in lala land about his marriage. It won't be long now. I can do without the Michael/Lauren/cancer storyline. Phyllis and Kelly will be going at it with hair pulling etc. soon. Poor Jack! I guess things will come to a head during the Feb. sweeps which will be here soon. Yes, CC, it is good to see Melody Thomas Scott looking healthier since her recent illness. I think that Nikki loves Victor in spite of his ruthlessness and his despicable behaviour. She is aware of his wickedness, but she also sees another side of her husband. The question is whether she has reached the saturation point with him. Will her ability to forgive The Big Man have limits, or is this just another breakup in their long history of makeups and breakups? No, i do not think that Dylan and Avery will make it to the altar any time soon. It is becoming increasingly clear that Avery is still attracted to her ex, Joe Clark. She is trying very hard to suppress her feelings for Joe, but since Y&R is a soap, I do not think she will succeed. Dylan has a terrible temper and he suffers from post-traumatic syndrome due to his wartime experiences in Afghanistan. He is bound to do something that will cause Avery to turn to her smooth-talking ex. I do not think that the Hilary and Devon affair will end happily for anyone. Neil is about to regain his sight and he is getting closer and closer to the truth. I can't wait to see what happens when he finally unmasks the duplicitous duo. The fallout is not going to be pretty. Neil will be devastated, but I really hope he doesn't hit the bottle again (although he may join Nikki as they fall off the proverbial wagon together). Lily will also display a strong reaction. To put it bluntly, she'll blow a gasket. I too can do without the Michael/Lauren cancer storyline. Many people watch the show as a distraction or as pure escapism. Some viewers are dealing with cancer in their own lives and they don't want to be reminded of it when they watch television. Yes, CC, Phyllis and Kelly are really at odds, but a new wrinkle in the plot is that Kelly is slowing revealing herself to be a very unbalanced individual. For a while, Jack will fall prey to Kelly's scheming and trickery, leaving Phyllis very frustrated. Jack has often proven to be an easy mark and will be duped by Kelly without much difficulty. It's "Blondie" versus "Red" in the battle for Jack's heart, and "Blondie" is already succeeding with her plan to turn Jack against Phyllis. The February sweeps should be exciting, CC. I think the show has improved recently. Here is an email I received from Fifi in Collingwood, Ontario. I enjoyed seeing the flashback of Camryn Grimes as Cassie years ago. She has been an excellent actress all along and is doing a terrific job as Mariah. I loved when she called Summer "Snowflake." I enjoyed the flashbacks too, Fifi, and I also think Camryn Grimes is a good actress. She's a prefect foil for Supergirl Summer. Her "snowflake line" was great and I had planned to used it as a "best line." Summer was not too thrilled when Mariah turned up at The Underground restaurant and interrupted her romantic rendezvous with Austin. Supergirl demanded to know why Mariah was there when she wasn't even scheduled to work. Mariah's response was priceless. "Can I see your I.D., Snowflake?" she asked, since Summer isn't even of legal drinking age. Fans of Tristan Rogers (Colin Atkinson) will be pleased to know that the Australian actor will remain on Y&R for another year. He was scheduled to return to work on January 6th after a trip Down Under. He says his storyline will heat up. I enjoyed Jill's descriptions of Joe Clark. They were quite apt. She referred to the sleazy real estate developer as "tall, dark and oily." She also called him "a snake in an Armani suit." That's all for now. Don't forget that the next edition of Y&R Report will appear on Saturday, January 31, 2015, just before the February sweeps.